- Completing the recording project of Mendelssohn's Chamber Works for piano and strings. The first two CDs, "Early Chamber Works" and "Piano Quartets op. 1 and op. 3" (Decca) have been released in 2013 and 2014. - CD recording of Mendelssohn's Piano Concertos, including the Concertos for two pianos. - Italian translation of some of the most authoritative Mendelssohn essays, in collaboration with Mendelssohn-Stiftung Leipzig. - Italian translation of Mendelssohn diaries. - Co-produzction of public performances of Mendelssohn's sacred works and early stage works never presented in Italy. - Co-production of monographical chamber concerts focussed on Felix Mendelssohn in Italy and other European countries. 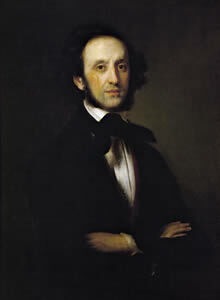 - Implementation of the website www.associazionemendelssohn.it, with further information on Mendelssohn's biography and works. - Preparation of a new online database dedicated to Mendelssohn's works, permanently up-to-date. - Assigning a new Felix Mendelssohn street in Rome (via Felix Mendelssohn), near via Schubert and via Mozart. - Putting a memorial inscription at the house where Mendelssohn stayed in Rome in 1830, in Piazza di Spagna, 5. - Exibitions of Mendelssohn's manuscripts and paintings.